Time For tee. 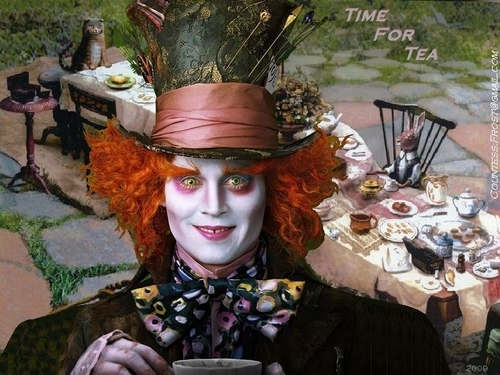 "Time For Tea" - a Hintergrund created Von TheCountess for Tim Burton's Alice In Wonderland with Johnny Depp as The Mad Hatter. HD Wallpaper and background images in the Alice im Wunderland (2010) club tagged: alice in wonderland tim burton mad hatter johnny depp 2010 fan art wallpaper thecountess.